10 original recipes to make you love beets. Packed with surprising health benefits, these sweet, earthy root veggies are incredible and can be enjoyed in both sweet and savory recipes. Before we go further and in order to avoid any confusion, let’s just get the facts straight: beetroot is actually the root portion of the beet plant, although we usually call them beets in North America. I sometimes call them beets and sometime beetroots, but it actually refers to the same root portion in my recipes below. After years of being consumed in the same old boring salad, beets are now enjoying their much-deserved place at the center stage of a healthy diet, and I am very thankful for this. With their beautiful dark red color, beets contain powerful nutrient compounds that help protect against heart disease, birth defects and certain cancers, especially colon cancer. Loaded with essential everyday nutrients like B vitamins, iron, manganese, magnesium, copper, and potassium, these ruby gems also are a goldmine of health-boosting nutrients to help you to improve blood pressure, fight the risk of heart disease, or help you become better at fighting chronic diseases, among others. Without any further ado, here are some great—and surprising— ways to cook beets and make you love every bite of them! 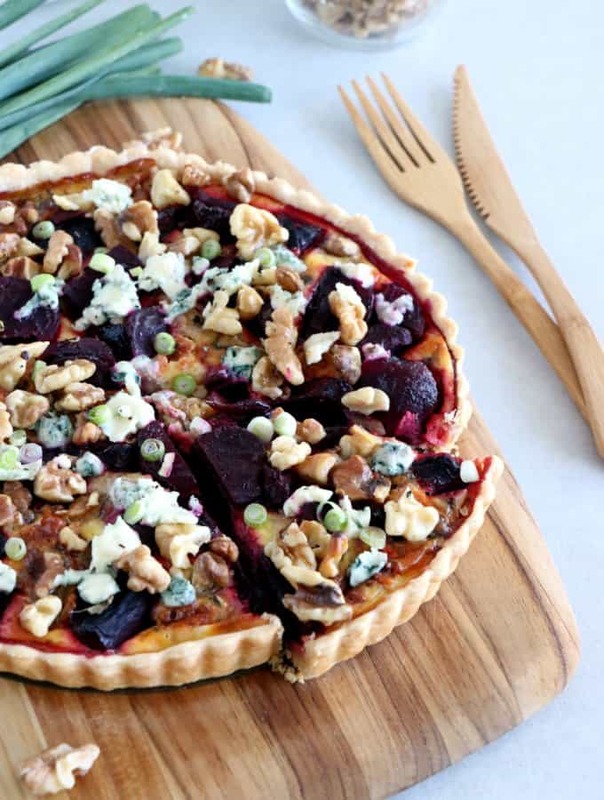 Made entirely from scratch, this Beetroot, Blue Cheese & Walnut Tart is a simple recipe, full of earthy flavors. Enjoy warm or lukewarm, as a starter or a light dinner, with a side of lettuce. 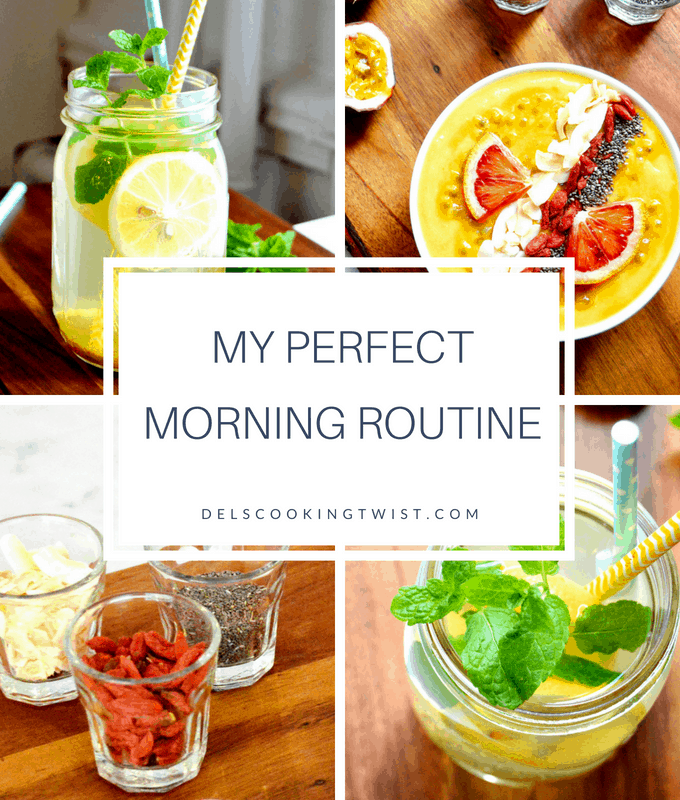 Looking for a healthy granola recipe? 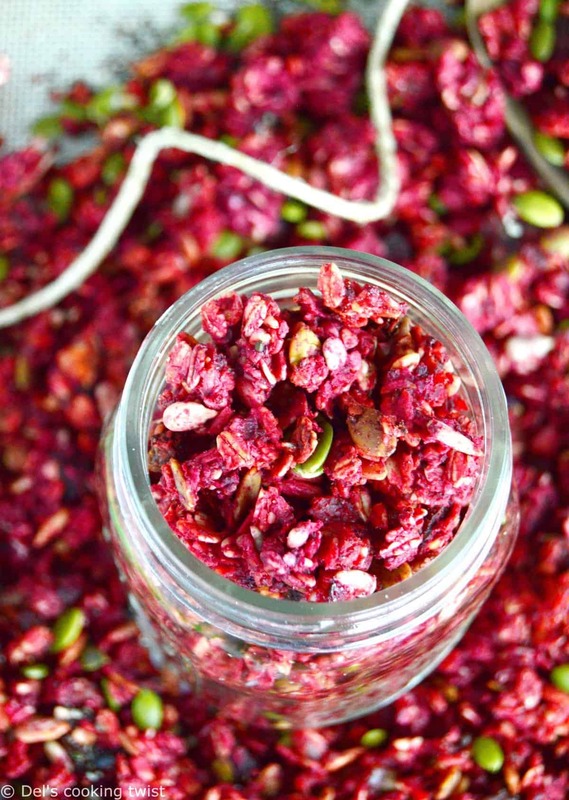 This Beet Ginger Granola with Superfood might be the one you are looking for. Vegan, gluten and refined sugar free, you will love it for its vibrant pink color and its subtle ginger aroma. Roasted Beet Pesto is the new pesto. 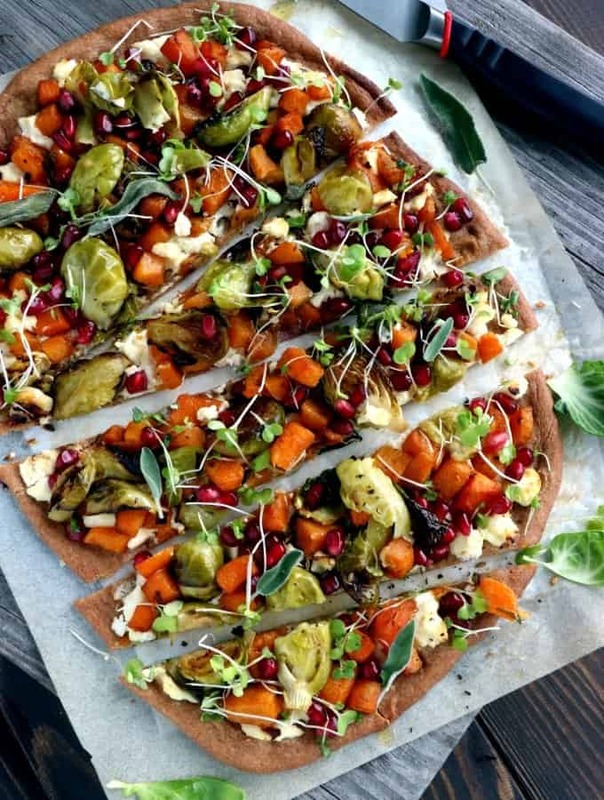 Combined with walnuts and parmesan cheese, it makes a beautiful appetizer to serve on crackers, with raw veggies to dip in, or onto a veggie pizza (check the recipe below). 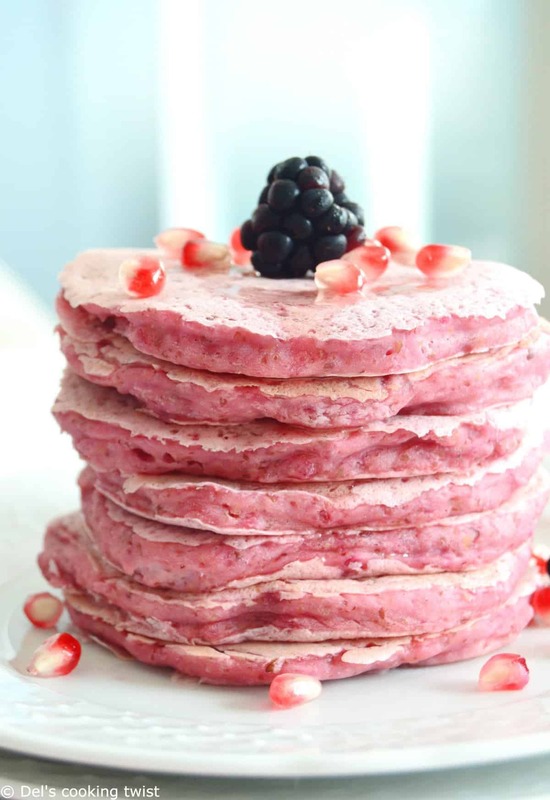 Vegan Pink Beet Pancakes – aren’t they the most adorable pancakes we can ever dream of? Made entirely vegan here, they are much healthier than a classic pancake recipe and I do not taste beets at all, which is here to bring the lovely color and healthy nutritional properties only. 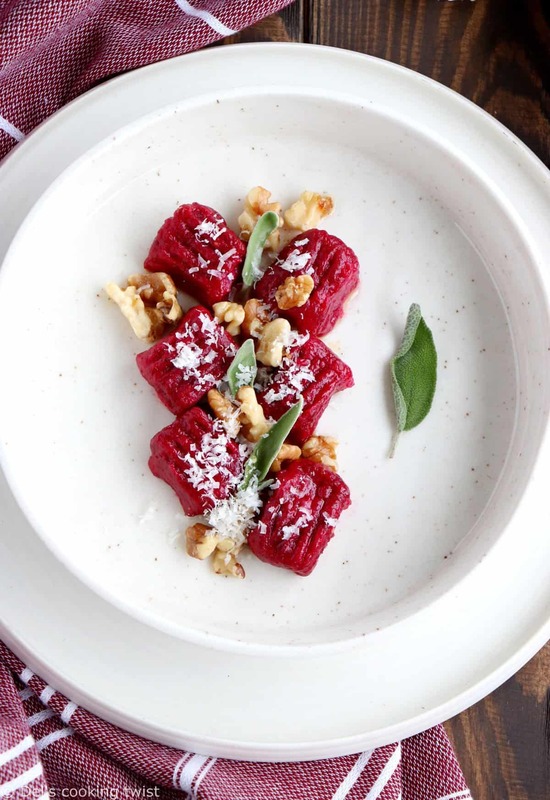 Perfect for a date night with your loved one, these Beet Gnocchi with Walnut-Sage Brown Butter are probably the most beautiful pasta to celebrate love. 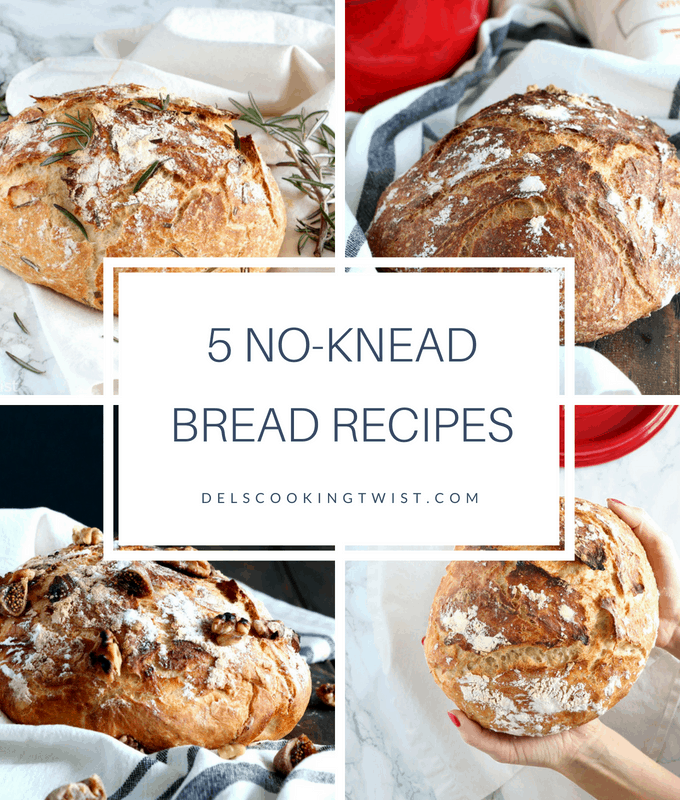 Jump to the recipe and learn how to prepare them from scratch; it is much easier than it seems! 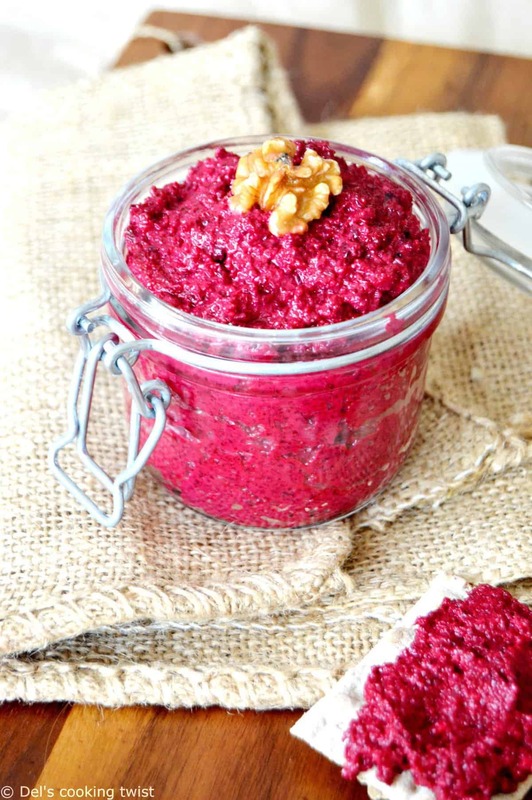 Prepare this beet-yogurt hummus in advance and store it in the fridge for a few days. 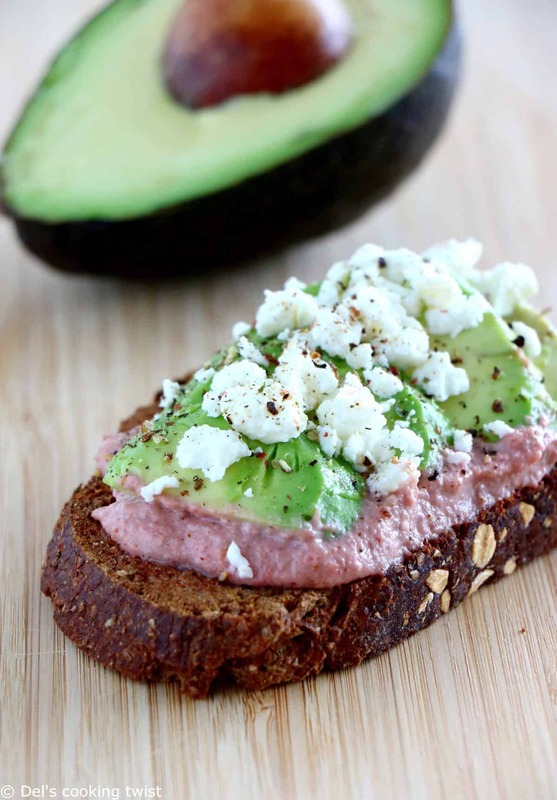 When you feel like having a little healthy snack, savory breakfast or quick lunch, make yourself a Simple Beet Avocado Toast with crumbled feta cheese on top and enjoy! 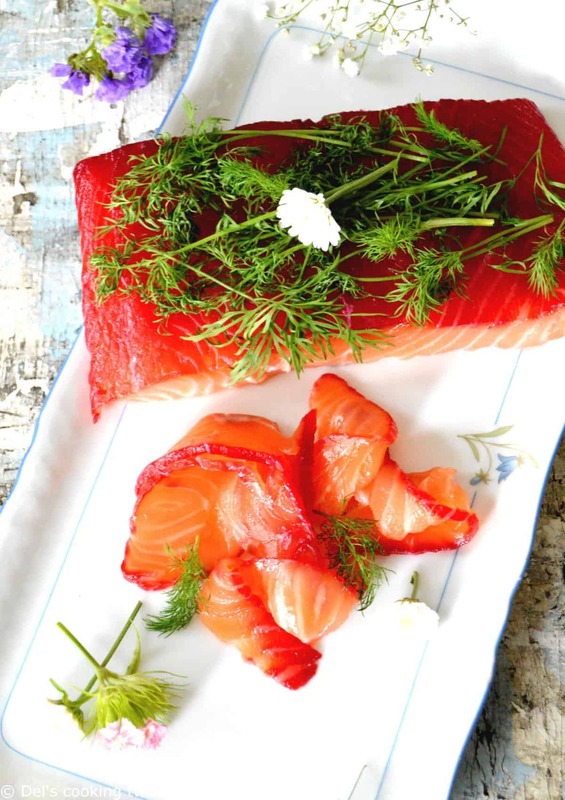 Enjoy a taste of the Nordics with this Beet-Cured Salmon Gravlax with Horseradish, a lovely dish to prepare a few day in advance and to serve for a special occasion. Here beets give the lovely red color to the gravlax. Did you know you could even use beets in your dessert? 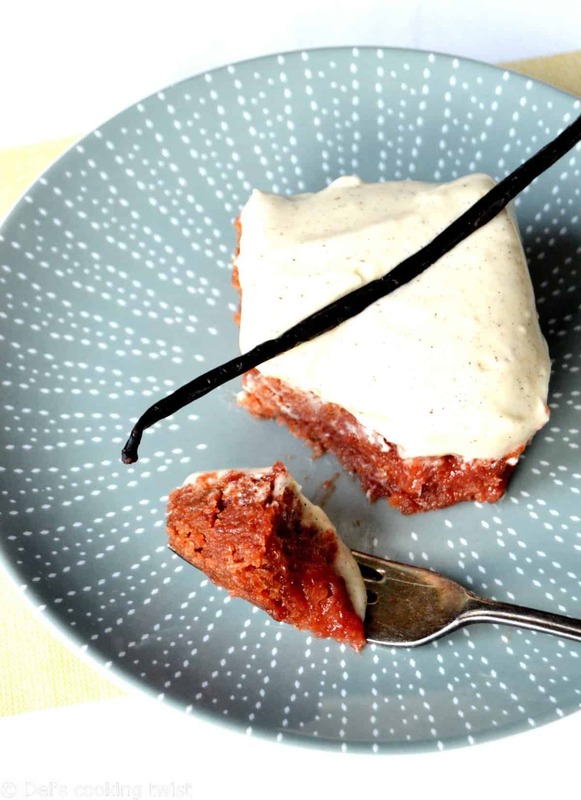 This red velvet looking cake is indeed a Beetroot Cake with Vanilla Frosting, made with no food colorant. You will love its subtle sweet aroma and its extremely moist texture. A must try! This is not your regular pizza. Prepared with a cauliflower (yes cauliflower!) 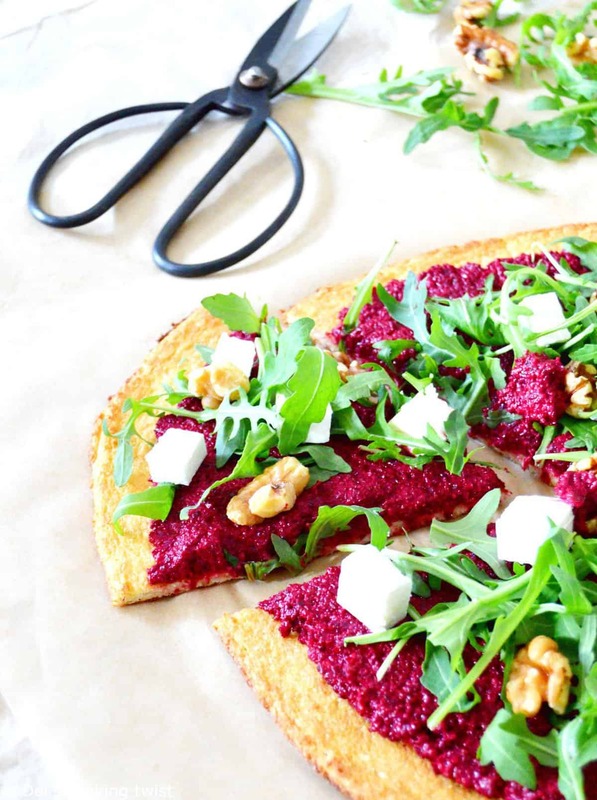 crust, this Veggie Beet Pizza with a Cauliflower Crust is gluten-free and replaced the traditional tomato sauce with the vibrant beet pesto from the recipe above. An original pizza full of earthy flavors. This Beetroot Gazpacho with Goat Cheese Cream is always a favorite for a festive cocktail party: it’s pretty, tasty, and quite easy to whip up too! Now it’s your turn to cook these lovely ruby gems. Enjoy! I printed the Roasted Beet Pesto; Glazed orange poppy seed donuts; caneles de bordeaux; and French crepes. I recently ordered the canele molds (not copper), from Goldas Kitchen. They were expensive, but worth getting the proper mold for the recipe. Going to make them without the beeswax, as its hard to come by. My inlaws are Ukrainian, and like their beet recipes. We have one called – Hryn. A Beet/Horseradish relish…some of them eat it like candy. It is time consuming to say the least. Going to try this year to put the beets through a ricer, instead of shaving my skin off. 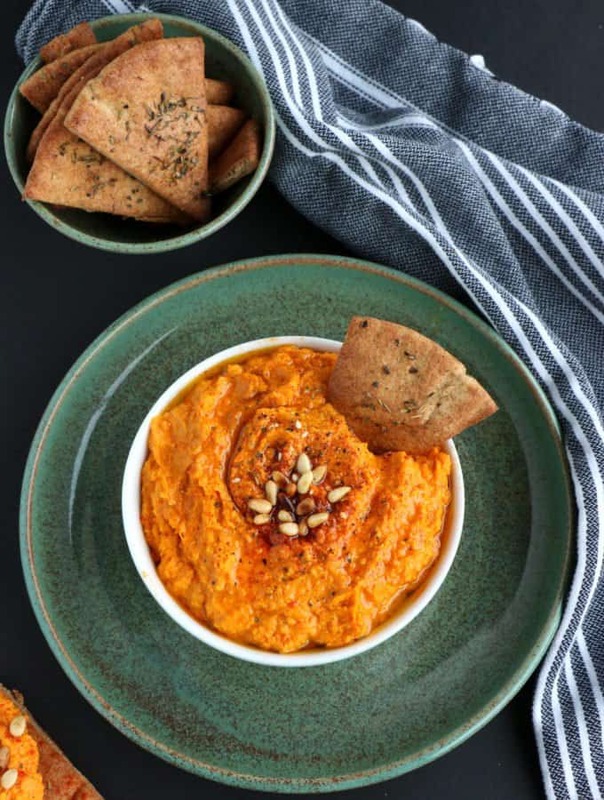 I liked the looks of the Roasted Beet Pesto, and will be trying that definitely. Hi Evelyn! Thank you for sharing your story with us. 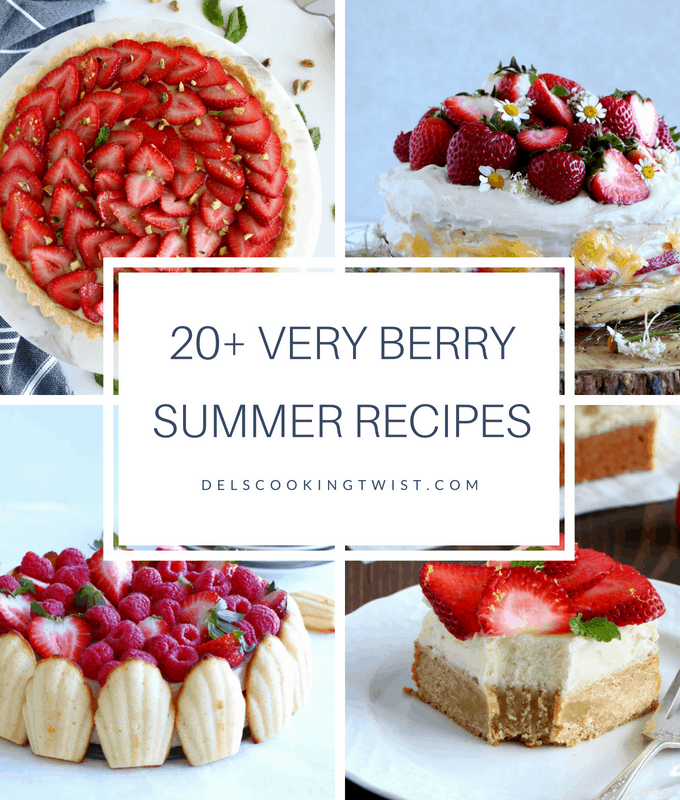 I’m so glad you like these beet recipes and hope you will try a few of them. The beet pesto is definitely one of my favorites that I make every so often.